Children of all ages led the march with their enthusiasm pulsing through the entire crowd. Chants such as "Hey, hey NRA how many kids have you killed today?" reigned throughout the city. Posters included "Let me think about grades, not guns." As well as: "Protect us; not assault rifles." 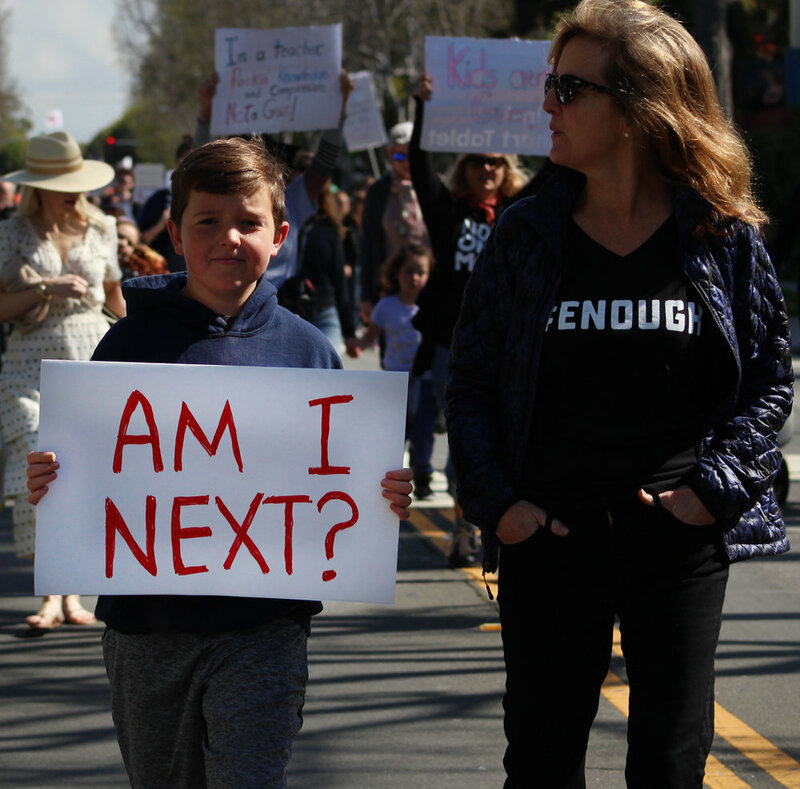 More than a thousand Southern California residents gathered in Santa Monica, California to join a nationwide effort to end gun violence this Sunday, March 24. The march started at 1518 Montana Avenue and ended at Palisades Park on Ocean Avenue in Santa Monica. 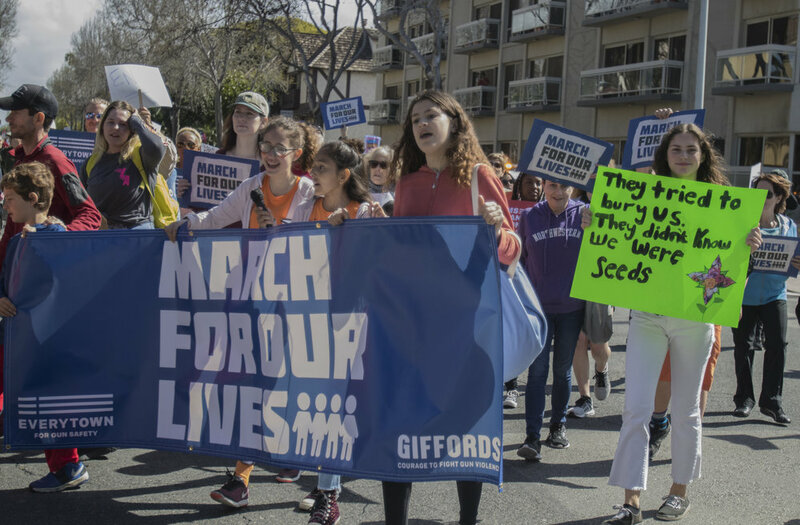 The official organizer behind the Santa Monica based march was 13-year old Antonella Borjas, a student at Lincoln Middle School in Santa Monica. She led the large group of community members down Montana Avenue, and got the entire crowd engaged through chants like, "What do we want? Gun control! When do we want it? Now!" Jordyn Feldman, a classmate of Borjas, shared the effort of herself and classmates leading up to this march, "On March 14, I went with about 50 other students out of our school, we got a truancy, and we walked down to City Hall; we sat there for 17-minutes in silence for the 17 lives that were taken," Feldman said. "What was great that the members of City Hall sat with us in silence there." After Borjas finished her speech, guest speaker Donna Brown took to the microphone. Brown lost her 22-year-old son to gun violence and expressed how important events like these were. "This event means that there is action being taken for gun safety and having the community out means they are taking a stand for safety within our community," Brown said. "All the children joining nation-wide that have been impacted by gun violence, so this is about being connected and giving a voice to the voiceless." March for our Lives is a national student-led protest that took place in numerous California cities such San Diego, San Francisco, and Long Beach on March 24, but also in cities all over the U.S., like Washington D.C. The Santa Monica march started just before 10:30 a.m., with thousands making a jointed effort to march. Teachers, students, and parents filled the streets with one message in mind - "Protect kids, not guns." Leslie Lauer, a teacher in the Los Angeles Unified School District, said, "I am vehemently against guns and they need to stay out of the schools. I'm a teacher and there is no way I am ever going to pack a gun." After the two speeches were finished, protestors stayed at Palisades Park and shared their thoughts and beliefs, all which were similar to one another. 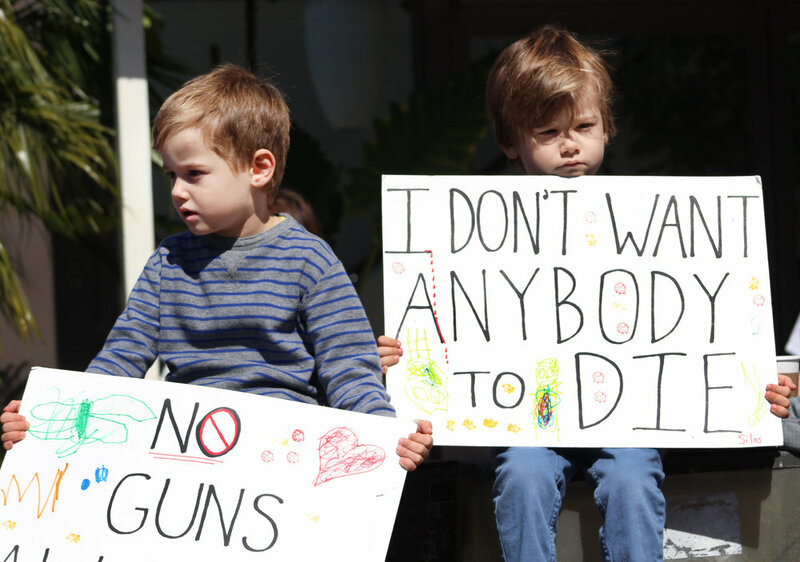 Justin Lemucchi, a teacher at Turning Point School in Culver City, California, said, "I believe that we should be restricting guns and not arming teachers, we need to protect our schools better, we need a safer America. The fact that so many other countries have figured out gun laws that are effective and safe leads me to believe that we can do it in this country, we just have to put our voices out there." The march ended around 1:00 p.m. as the streets began to clear up. Another national student-led walkout is scheduled on April 20.